The term materials characterization is used to describe the broad processes of measuring and outlining a material’s properties and structure. There is a vast range of different material characterization techniques, and this blog post will highlight just some of the techniques available using Hiden Isochema instruments. Gas sorption analysis involves the study of gas interactions with solids or liquids. This can provide information regarding a materials surface area and pore size. Hiden Isochema has a range of instruments, both gravimetric and manometric, that can be used to analyze gas sorption equilibria and kinetics. The IGA range measures changes in sample mass as a function of temperature and pressure. It utilizes the unique IGA method. The IGA method provides a consistent analysis with outstanding measurement accuracy and faster process times. Dynamic vapor sorption is a method of measuring how much and how quickly a vapor or organic solvent is absorbed by a sample. 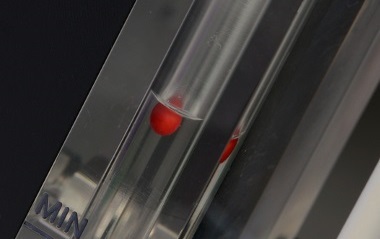 This technique works by varying the concentration of the vapor/solvent around a sample and then measuring the resultant weight change of the sample. Dynamic vapor sorption can be used for various methods of material characterization, such as the determination of material stability, moisture diffusion, hydration properties, and amorphous phase detection. The IGAsorp range from Hiden Isochema are fully automated dynamic vapor sorption analyzers, and they provide precise and fast vapor sorption measurements using a dynamic flow technique. These instruments have an ultra-sensitive microbalance, which measures the changes within the sample mass as a function of temperature and humidity. The Hiden Isochema range of dynamic vapor sorption instruments provides unrivaled performance and total baseline stability. Hiden Isochema is a world leader in the development and manufacture of gas and vapor sorption instruments for material characterization. If you would like any more information about our solutions, please contact us.